For the last couple of months I’ve felt like my reading has been a bit blah. Sure, I’ve read some pretty good books, but I’m not cruising through them and pumped to pick up the next one. It’s part Spring fever but that’s not all that’s slowing me down. I finally realized that, much like my personal goals, I need direction and specific reading goals to follow. I’ve always set them and every year I’ve had success with participating in reading challenges. I know reading challenges and specific reading parameters aren’t for everyone, but for me they fuel my book fire. Complete the Monthly Motif Reading Challenge. Read 4 books per month. So 1 book per week. Complete the PopSugar 2016 Reading Challenge. I experimented with picking up books randomly and it just left me feeling a bit lost. These aren’t too crazy of goals but they provide me with just enough direction to get excited about reading again. 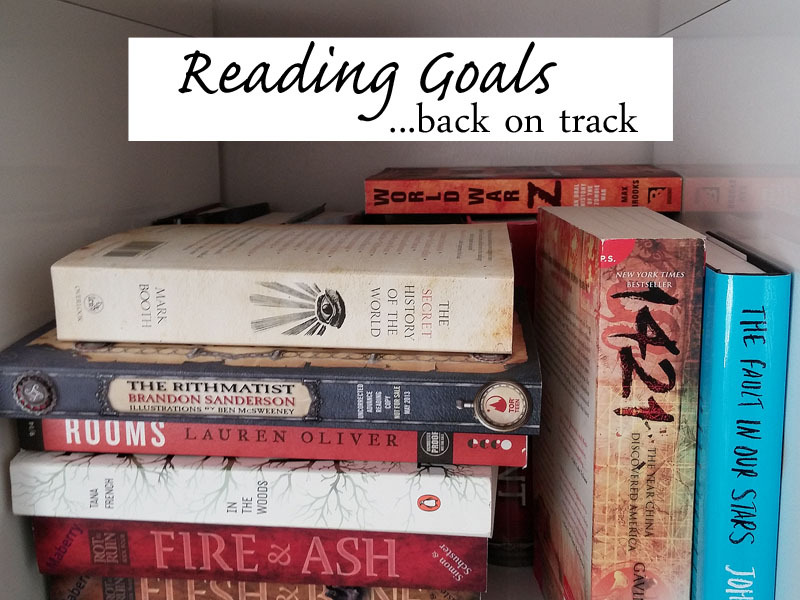 Are you a reading goals kind of person or do you prefer to fly by the seat of your pants? Thanks Jenn! I think I’m a mix of structure and go with the flow. It kind of depends on what aspect of my life we’re talking about. I like finding middle ground on it.